Reliance Communications today came out with a new offering that provides 1GB data to new 4G customers for Rs 49 whereas 3GB data will be priced at Rs 149 plus free, unlimited local and STD calls within its network. The plans under ‘Joy of Holi’ offer come with a 28-day validity. “With this launch, all new 4G customers of Reliance Communications will get… 1GB of data access offered at just Rs 49 while 3GB of data access can be availed for only Rs 149, along with free and unlimited on-net local and STD calls, valid for 28 days,” a company release said here. The Anil Ambani-owned RCom has also announced variants of the plan for its 3G and 2G customers, including unlimited 3G data access for Rs 99 and unlimited 2G data access for Rs 49. 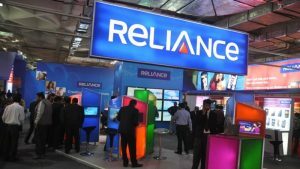 RCom further said new 3G customers in Delhi, Mumbai, Kolkata, Himachal Pradesh, Madhya Pradesh, Punjab, Rajasthan and Jammu and Kashmir can now recharge with Rs 99 and get unlimited 3G data, bundled with Rs 20 worth of talk time. In this plan, voice calls will be charged at 25 paise per minute with a validity of 28 days. In addition, new 2G customers in Haryana, Uttar Pradesh Andhra Pradesh, Gujarat, Maharashtra, Kerala, Karnataka, Tamil Nadu and Chennai will be offered unlimited 2G data access for only Rs 49 with an in-built talk time of Rs 20 and call charges at 25 paise per minute, valid for 28 days, it added. The offers come at a time when the Indian telecom service providers are rolling out attractive packages to woo and retain consumers in the aftermath of Reliance Jio’s aggressive pricing plan. The Mukesh Ambani-owned Reliance Jio has already sweetened its offering for ‘Prime’ members, saying those recharging with Rs 303 will get an extra 5GB data beyond the 28GB already committed under the scheme. Source :- Press Trust of India.